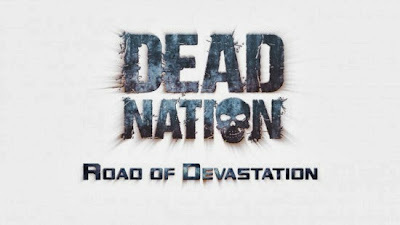 Dead Nation is a fantastic zombie game that came out back in 2011 on the Playstation Network. I loved its level design and it was real fun to play. 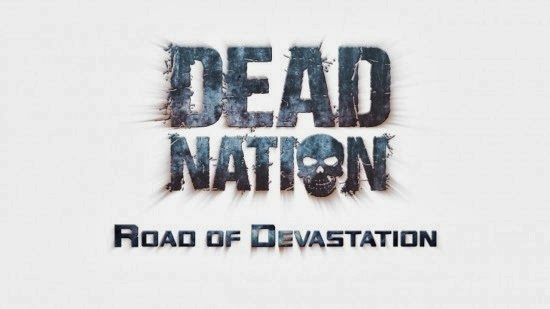 Road of Devastation is the DLC that was released for it and which I have finally stumped up the £3 something asking price to play. Disappointingly there is not any story to this one, all you really need to know is it takes place after Dead Nation and has you as either the man or woman character running a series of gauntlets in some pre made testing grounds.for the benefit of your shady captors. 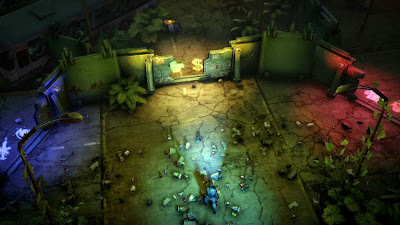 You have to run the gauntlet six times, each time the zombies you face get stronger. What I do like about this is that each time you run the gauntlet there are different routes you can take that give you different benefits. You can go the XP route and get lots of that to improve your weapon stats, you can go the weapon way to get a new weapon, the same for armour and special weapon routes. This at least means that you never get bored as there are in total six alternate paths, one for each round. The level design is ok, there is no real theme to tie the disparate locations together. For the most part they are streets full of abandoned vehicles, though one route did take me through an area full of vegetation from which plant based zombies emerged.Traps appear sometime that can be used to mass kill zombies such as buzz saws and electrified fences. 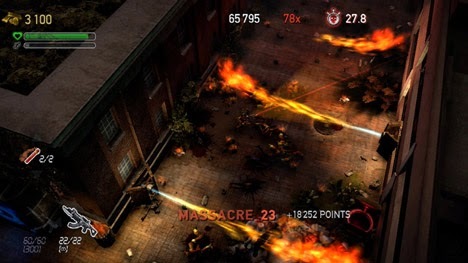 Enemies are not really any different from the main game, I did not mind though, zombie design is great in Dead Nation, will never tire of shooting cop zombies and the rest, though the zombie soldiers are still kinda boring to fight. On some routes hulking super zombies get air dropped in. As well as the six round main part you can also access an endless mode. I am sure this may be fun in two player, and it kept me occupied for an hour early this morning but unlike the main game I can't see myself ever desiring to return to this. So much DLC is just not very good, this falls into that category, for the price if your a fan then why not, just don't expect anything in line with the quality of the main campaign.